OPPO, a leading global smartphone brand starts the new year with a multi-channel distribution strategy by partnering with Flipkart for its upcoming launch- K1. The OPPO K1 is the brands first smartphone from the globally successful K series. OPPO K1 will arrive in India on 6th February. It is a power packed device available at a competitive price range and features an in-display fingerprint scanner. OPPO is a leader in the offline channel and wants to venture into the online space with its 1st ever online only series. Flipkart is a leader in smartphones with more than 65% online share an hence, has been the choice of partner for OPPO. Today’s India wants top notch technology at affordable prices and that’s exactly what OPPO and Flipkart have ventured together to achieve. They will together make cutting edge technology accessible to all. 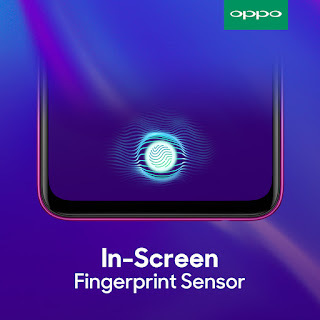 OPPO has been a pioneer in developing technology that enhances the smartphone experience for its consumers by introducing wide range of products for different kind of consumer segments. From offering great selfie experience to introducing a motorised camera, OPPO has always kept the consumer experience first and made products in line with their requirements. The OPPO K1 is no different and with its in-display fingerprint scanner at a competitive price range is an innovative device, focused on providing a memorable and delightful experience for its consumers.